You’ve likely noticed by now that fashion sweeps through our world in cycles. Flared jeans made their comeback, and choker necklaces are now reigning supreme. So it should hardly be a surprise that engagement ring trends cycle as the years go on, too. One of the biggest trends for bridal jewelry is actually the cycling of vintage style rings. 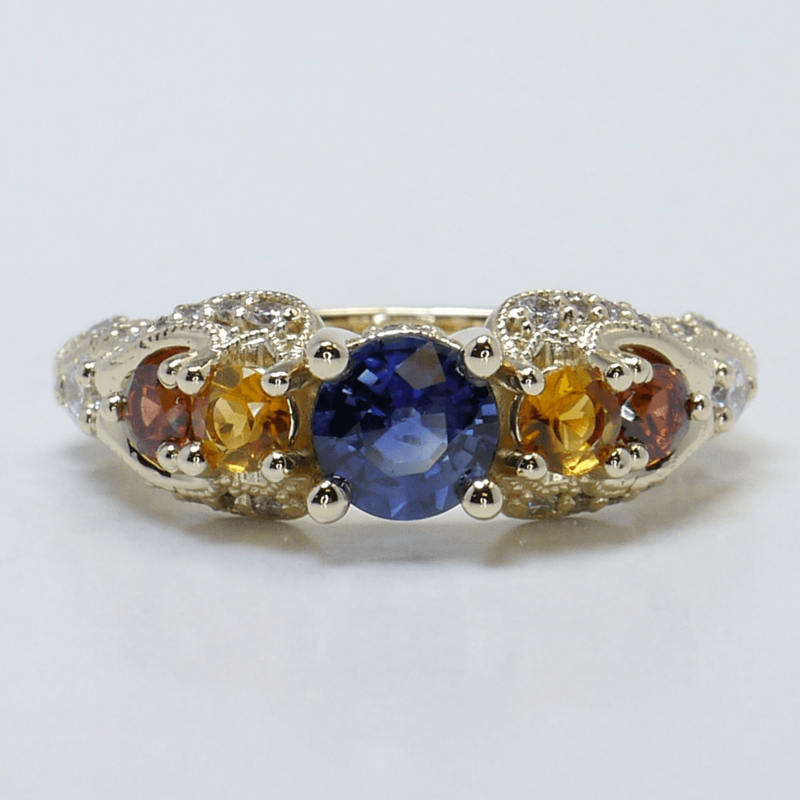 One of the greatest elements of a vintage style ring is the intricacy of the design. With this ring, delicate leaf filigree studded with diamonds intertwines its way down the band. This adds extra flair (and extra sparkle) to the ring, making it all the more breathtaking. This filigree work is a real throwback to a classic age, perfect for a girl who is a classic beauty. This custom made ring can be replicated to match virtually any budget or center stone specifications with ease. Now, vintage doesn’t always mean delicate. Just ask Ashlee Simpson, whose vintage style engagement ring had an Art Deco look from the 1920s. Statement rings like the one pictured above are great for the women that are always the life of the party; with a ring like this, everyone will know when she walks into a room. The diamond-covered split shank design and baguettes on either side of this beautiful princess cut center diamond make for a ring that is more than just a symbol of your love; it is a declaration! These days, white gold or platinum settings are great metals for a modern, sleek engagement ring. But think about your mother or grandmother’s rings–odds are it featured a traditionally yellow gold band. Yellow gold is a beautiful choice for a vintage style engagement ring, as it is an instant reminder of the rings our parents or grandparents wore. But if you’re looking for a vintage ring that marries the modern with the vintage, rose gold makes for a stunning colored metal that is neither completely modern nor entirely vintage in feel. 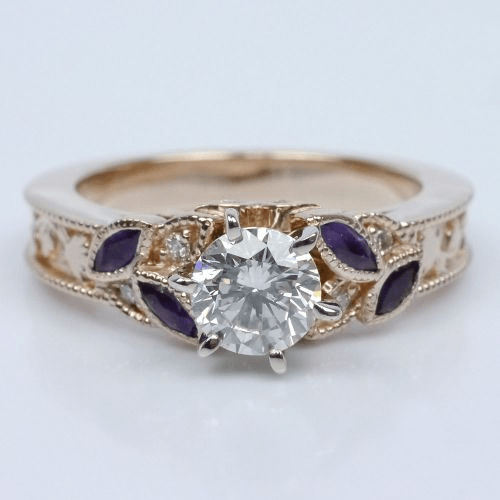 The ring pictured above has the beautiful details of a classically vintage ring (note the filigree and marquise amethysts on the band) with the rose gold metal for added color and a modern round brilliant cut center stone that makes this ring a true mix of styles with a perfectly romantic feel. 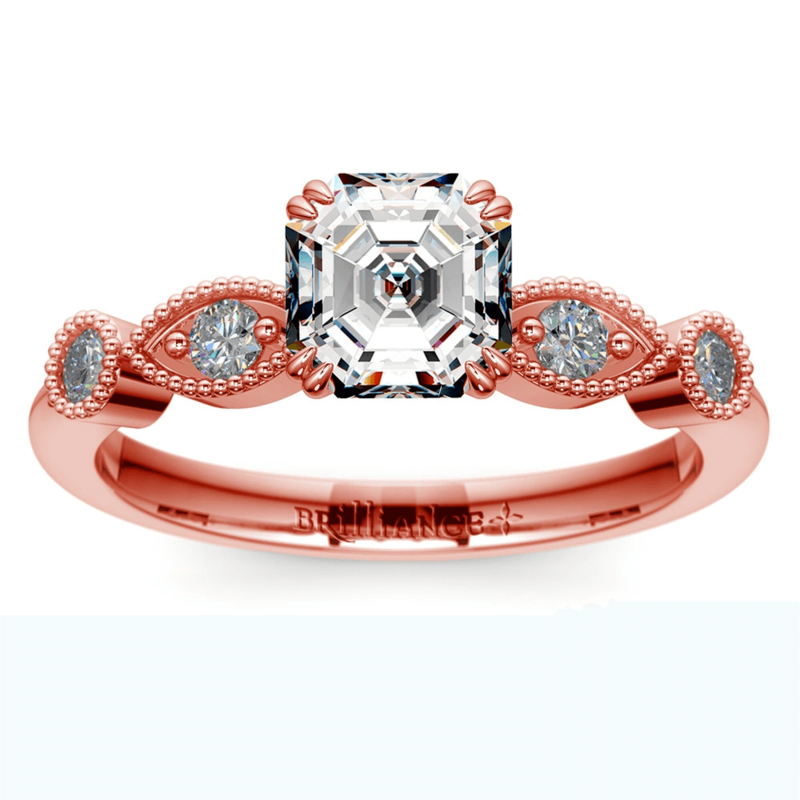 Halo settings have been popular for years, making them one of the more well-known vintage style engagement rings. The halo setting is classic, yet very beautiful, which might be why ladies like Kate Middleton sport the design on their finger. 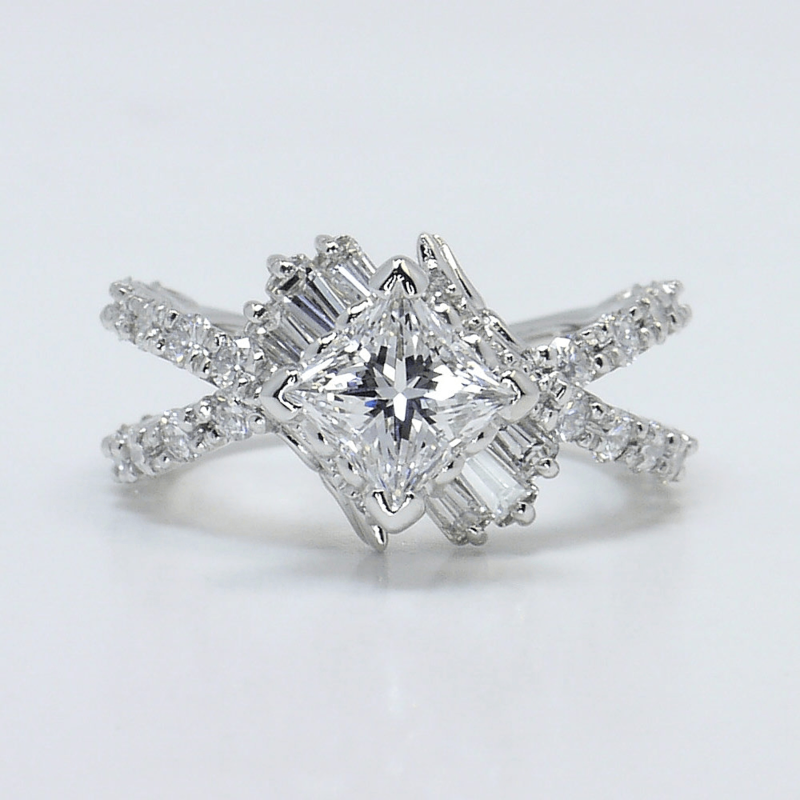 Truly antique inspired halo designs will feature large diamonds in the halo, or like this particular halo setting, they take brilliance to the next level with multiple rows of smaller pavé diamonds. A vintage halo is the perfect ring for a girl who wants that classic look, but also wants to sparkle. For some girls, a diamond simply won’t do. If another stone is her favorite, indulge her with a gorgeous ring that features her favorite gem. Vintage styles often benefit from gemstone centers, as diamonds were not always the stone of choice for engagement rings. 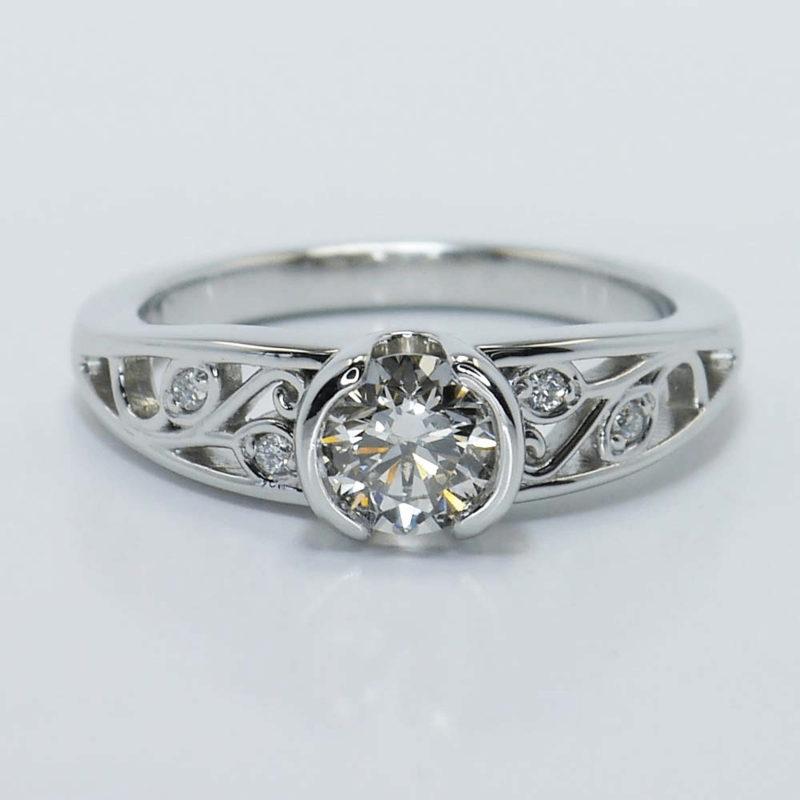 This design features classic swirling milgrain detail along the band for an antique feel, and the five stones in the center make for a unique engagement ring that she’s certain to love. Give her a ring that shows just how much you love her by giving her something that is truly her. What makes a vintage style engagement ring so popular? 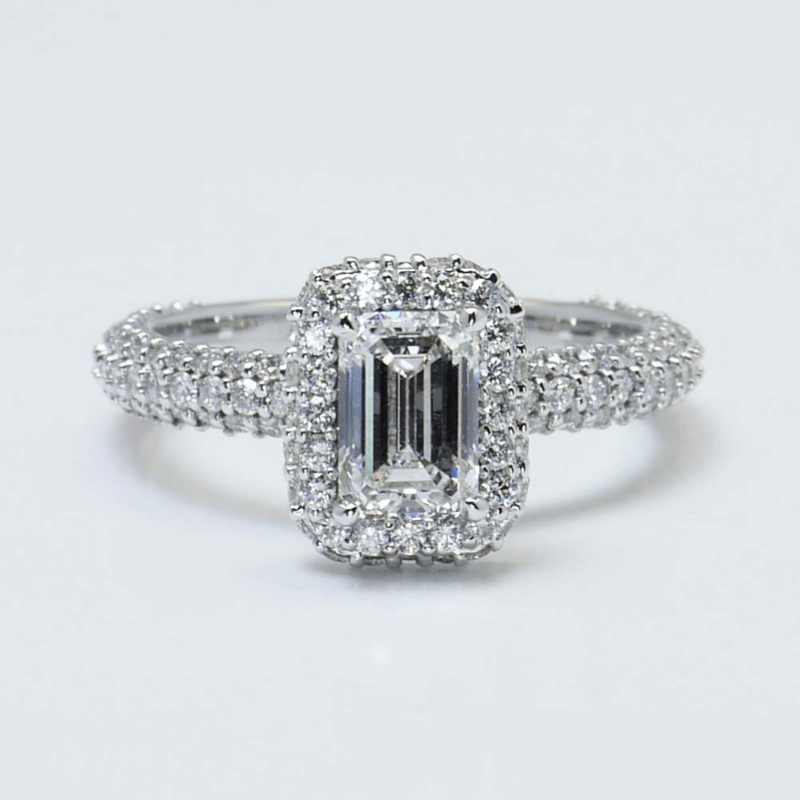 Whether it is the details on the band, the bold look of the diamond, or the timeless, classic setting that reminds her of some of the most beautiful engagement rings throughout history, vintage style rings have a je ne sais quoi that always impresses.